CVE & CVW Clipper Vac - Value, Versatility. TIPPER TIE Clipper Vac Models CVE and CVW represent an unmatched blend of economy and market-proven dependability for air powered bagging and clipping vacuum packaging systems. The Clipper Vac line is well-suited for processors whose production needs do not require full automation, as well as high-volume producers looking to supplement automated systems during seasonal increases in demand. Applications such as poultry parts, whole birds, turkey breasts, red meats, smoked and processed meats, cook-in products, cheeses, and cook/chill are all packaged using the Clipper Vac. This self-contained, semi-automatic system enables a single operator to produce consistently reliable, high quality vacuum packages in even the harshest of processing environments. Operating the versatile Clipper Vac is simple. It draws an extremely tight vacuum then gathers the bag neck, applies a secure clip closure, and trims the excess bag tail. The Clipper Vac works with all types of vacuum bags and vacuum shrink bags. Its sturdy Z-series clips are specifically designed to maintain maximum vacuum integrity within the finished packages to ensure products stay fresh throughout distribution. To give the system its broadest possible appeal, the Clipper Vac line is engineered to accommodate different product shapes and sizes simply by adjusting the height of the product tray or draw nozzle. Changeovers are quick and non-disruptive, eliminating downtime. The Clipper Vac line features two designs, the CVW and Model E (CVE). Selection depends on whether the machine operator needs to hold the bag vertically or horizontally to clip. For a minimal investment that delivers such superior productivity, the TIPPER TIE Clipper Vac is the value leader in vacuum packaging systems. 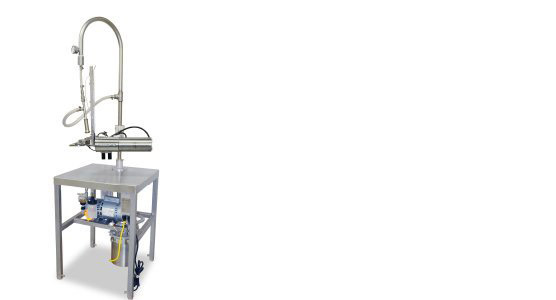 As an operation’s primary packaging system or to augment fully automated production lines, nothing can match its unique mix of simplicity, versatility, dependability, and economy. Processors who vacuum package a wide variety of products will see Clipper Vac as an integral and long-term contributor to their operations. High-quality clips are essential to a successful clip closure. TIPPER TIE clips are manufactured from a special aluminum alloy and are held to exacting specifications that exceed those from the general wire industry. The dimensions of all TIPPER TIE clips are kept within very tight tolerances, ensuring a perfect closure every time. Furthermore, clip leg ends are radiused and lubricated to ensure that both clip legs form simultaneously as the clip gathers the packaging materials. The result is a clip that closes smoothly and securely every time. The CVE Clipper Vac is for bagged products that must be held vertically and clipped. 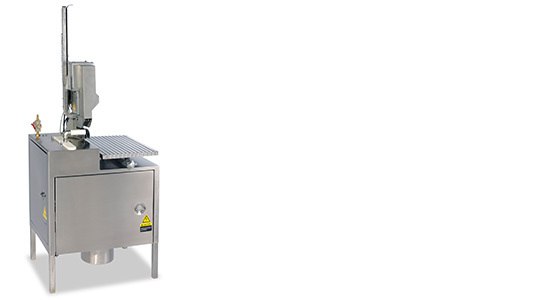 The CVW Clipper Vac is ideal for large or heavy products that are held horizontally and clipped vertically.